"An eye drop to treat wet AMD and ophthalmic neovascular disorders would be transformational for the large patient populations currently taking chronic treatments of Lucentis or Eylea, both of which are injected directly into the eye, " stated Dr. Irach. B. Taraporewala, CEO of OHR. Ohr Pharmaceutical is an ophthalmology research and development company that is sponsoring the Phase II Squalamine Eye Drops (OHR-102) called the IMPACT study for the treatment of the wet age related macular degeneration. Twenty three clinical sites across the United States recruited 142 patients with wet AMD for this Phase II clinical trial. The name of the eye drops is Squalamine. all of which contribute to the development of abnormal, leaky blood vessels. It has been found in pre-clinical testing that the eye drops are able to achieve the needed levels of concentration in the tissues of the back of the eye. This is a double blind placebo-controlled wet macular degeneration research trial. The FDA approved a Fast Track Designation in May 2012. An initial Lucentis injection was given to all patients as well as follow up injections on an as needed basis. Those who were in the Squalamine group self-administered the eye drops two times a day. Results from the Phase 2 Impact study were reported by David Boyer, MD, from the Retina Vitreous Associates Medical Group in Los Angeles during the November 15, 2015 American Academy of Ophthalmology Annual Meeting. 1. Adding 2% squalamine lactate ophthalmic solution to ranibizumab increased visual acuity. 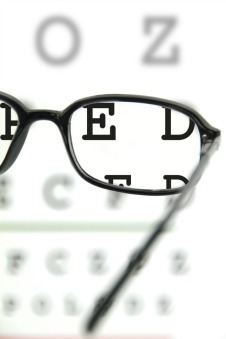 There was a mean gain in visual acuity with gains of 3, 4, and 5 lines. "The IMPACT study showed robust vision gains with the combination of squalamine lactate and ranibizumab in classic-containing lesions," reported David Boyer, MD. 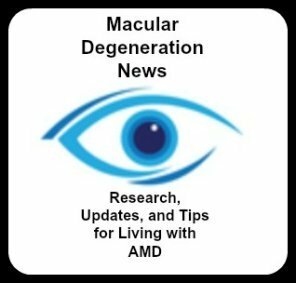 "There is a great deal of interest in combination treatments for neovascular age-related macular degeneration," reported Pravin Dugel, MD, from Retinal Consultants of Arizona in Phoenix. "The ceiling has been reached with anti-VEGF agents" and he adds, "we are talking about eye drops, which is very exciting." The conclusion from the study after examining the 128 patients who completed the study, the combination of squalamine lactate plus ranibizumab was better than ranibizumab monotherapy. John Slakter, the Chief Medical Officer and retina specialist at Ohr presented the latest study data at the 2014 American Society of Retina Specialists on August 12. "The data demonstrated a visual acuity and anatomical benefit for the group of patients receiving the combination of OHR-102 and Lucentis® PRN ("OHR-102 arm") versus placebo eye drops plus Lucentis PRN ("Lucentis monotherapy arm")." the group of patients receiving the combination of OHR-102 and Lucentis PRN ..."
Those who received the combination of Lucentis injections and the Squalamine eye drops showed more improvement than those who received only the Lucentis injections. 2. 48.3% of those receiving the eye drops and Lucentis injections demonstrated improved best-corrected visual acuity compared with 21.2% of those who received only the Lucentis injections. Study investigator and Director of the Vitreoretinal Service at Ophthalmic Consultants of Boston, Dr. Jeffrey Heier, states, "The enhanced vision gains of OHR-102 in combination with Lucentis over the Lucentis monotherapy regiment are encouraging. Visual acuity is the primary concern of our patients, and to be able to potentially augment their visual function with a non-invasive option would be of great benefit to them." Ohr Pharmaceutical announced details of the planned Phase III registration trials for Squalamine Eye Drops (OHR-102) in the treatment of wet age-related macular degeneration (wet AMD) to begin sometime in 2016. Randomized patients will receive monthly Lucentis injections plus OHR-102 (squalamine eye drops) twice a day or Lucentis plus placebo. During the second year they will receive Lucentis PRN (as needed) plus OHR-102 or placebo twice a day. According to Ohr Pharmaceutical website, "The Phase III trials for Squalamine eye drops are being designed to measure the efficacy of combination therapy with OHR-102 eye drops plus Lucentis injections compared with Lucentis monotherapy at 9 months. All patients will be followed for safety for 2 years. The primary endpoint will be a measure of improvement in visual acuity, as defined by the proportion of patients achieving gains of ≥3 lines or more on the early treatment diabetic retinopathy study chart." "The latest effort, the phase 3, 237-patient MAKO trial for wet AMD conducted by Ohr Pharmaceuticals, failed to add any benefit when a squalamine eyedrop was used in combination with monthly Lucentis (Genentech). In fact, at 9 months, patients on Lucentis monotherapy achieved a mean gain of 10.58 letters compared to a mean gain of 8.33 letters in the combination group. "